Woo hoo! 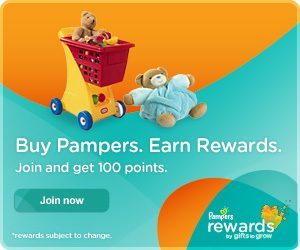 Pampers has 15 new Pampers Gifts To Grow points for us! Just head over here and enter codes TWT2THKS42GVG14 and FB8THKS342GVG14 to get your points!